Come Home to the warmth of Braemar. 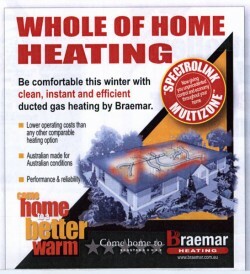 Braemar Ecostar will heat your entire home in minutes.. clean, warm air wherever you need it. Braemar’s latest Ecostar range of ducted gas heaters provides unprecedented temperature control. 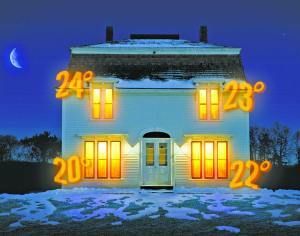 A feature unique to Ecostar allows different temperatures to e set in up to four separate zones in the house. No other gas heating system offers such flexibility. Reduced heating costs with improved comfort. Multizone controllers giving fingertip control. Compatible with most popular brand evaporative coolers. Ability to suspend heating cycle, change zone settings and programmed operation times easily.